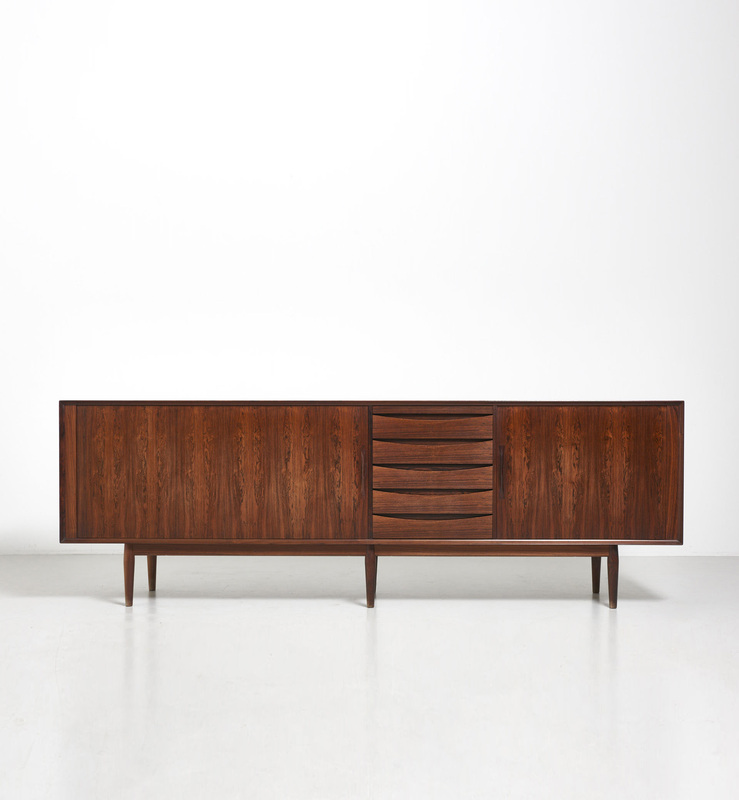 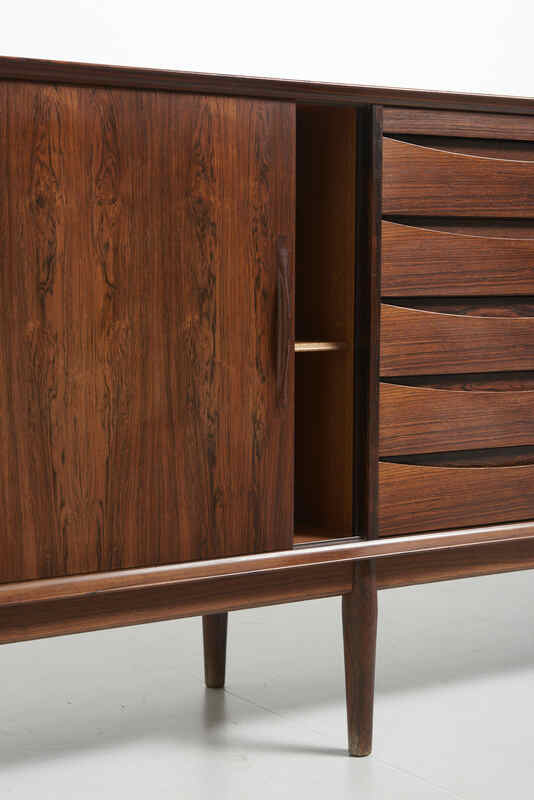 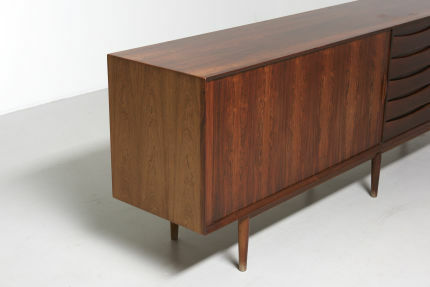 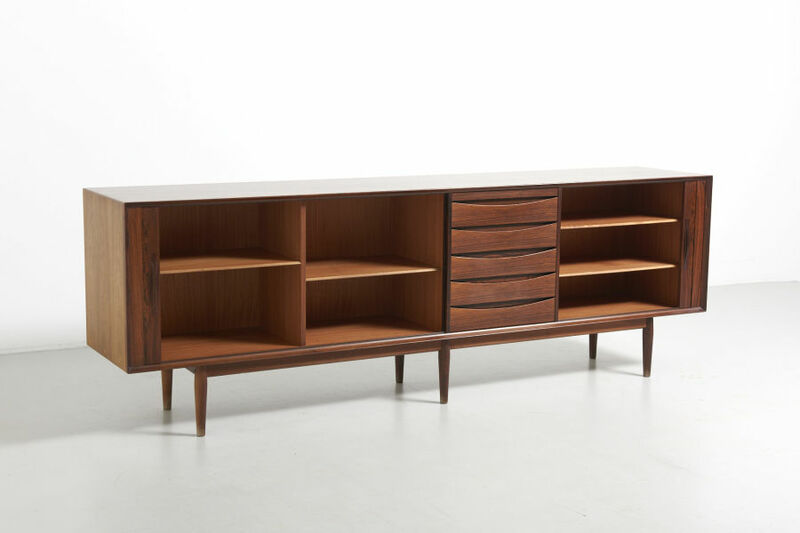 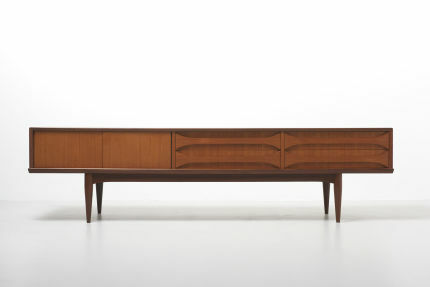 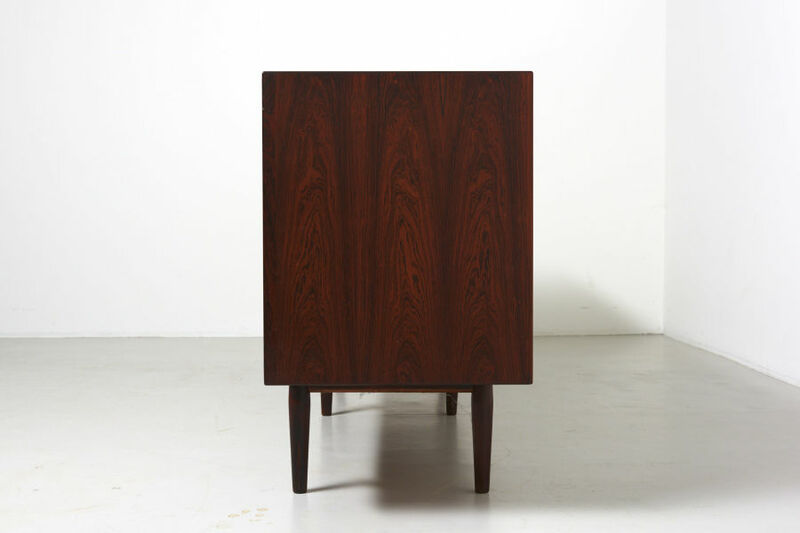 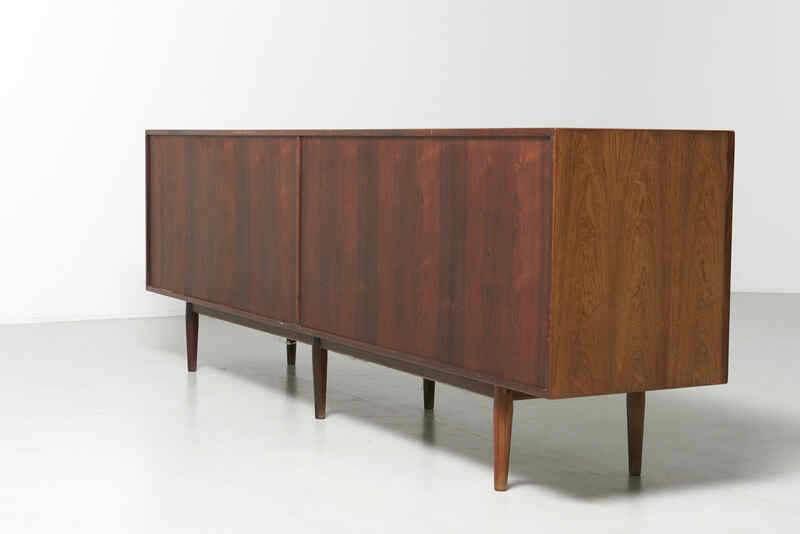 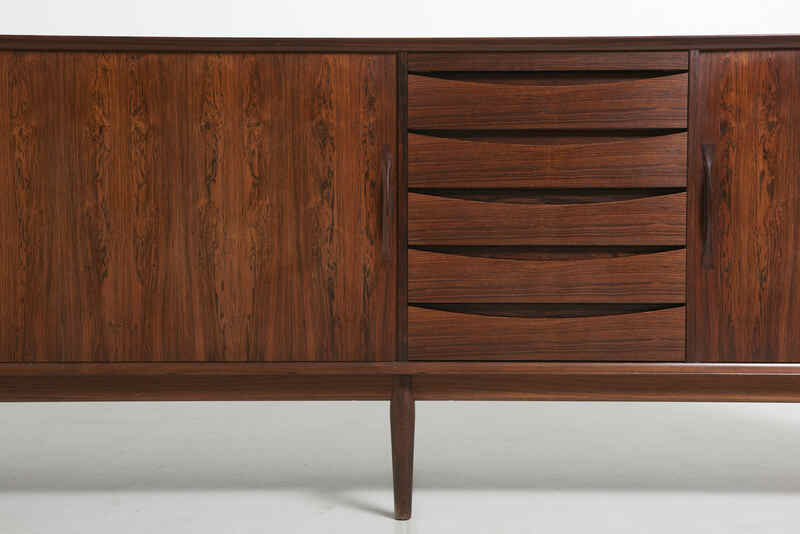 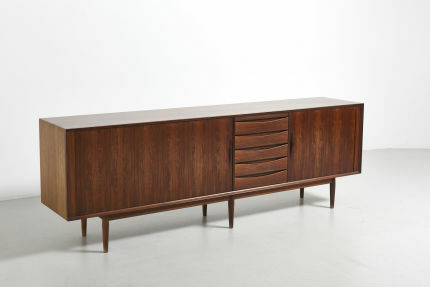 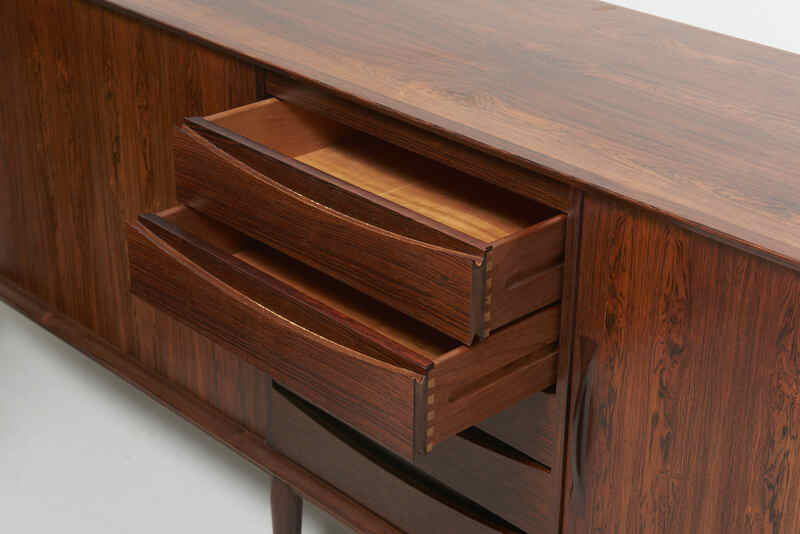 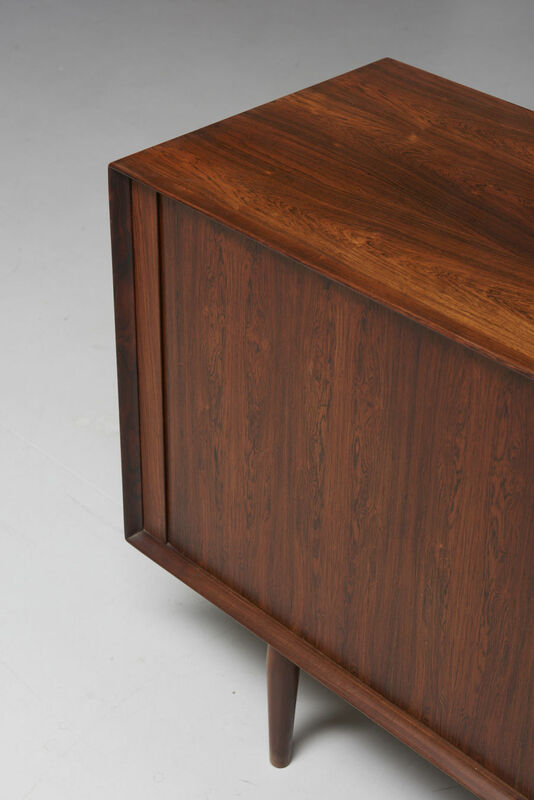 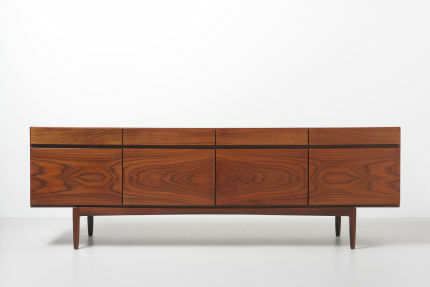 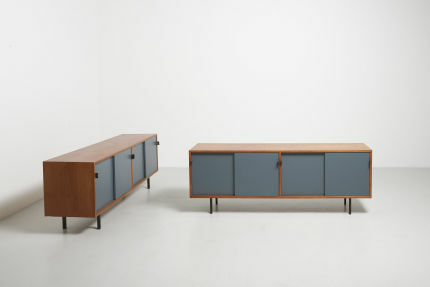 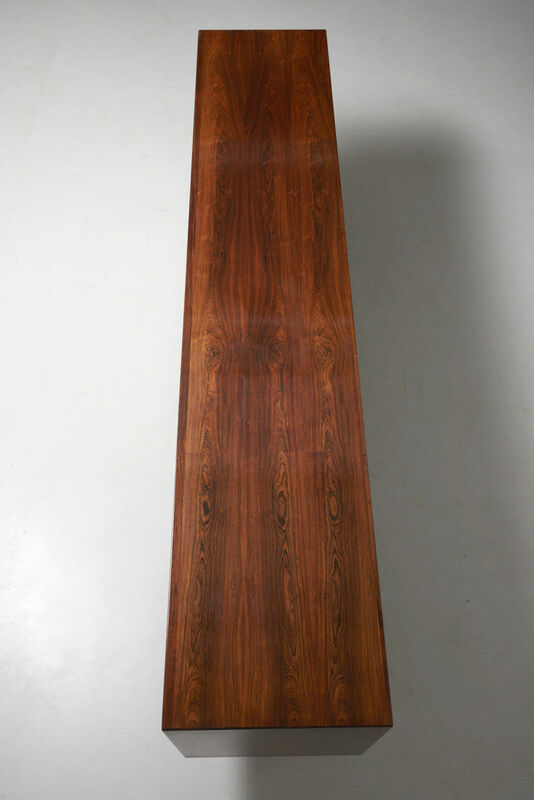 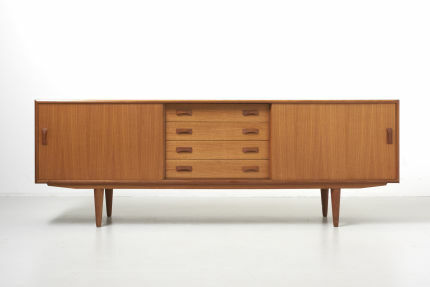 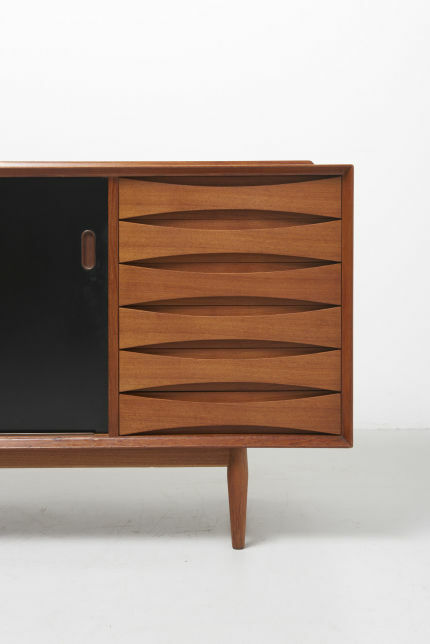 A rare sideboard, Model 76 designed by Arne Vodder in the 1950s. 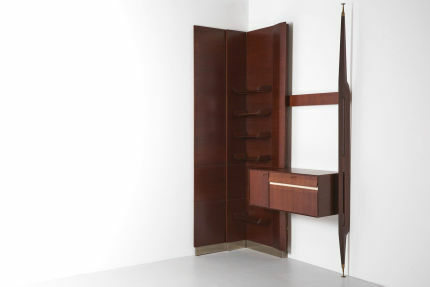 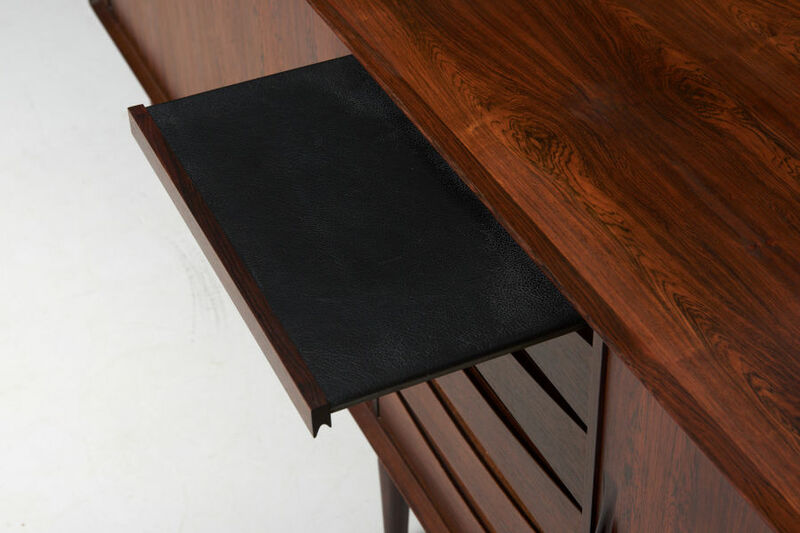 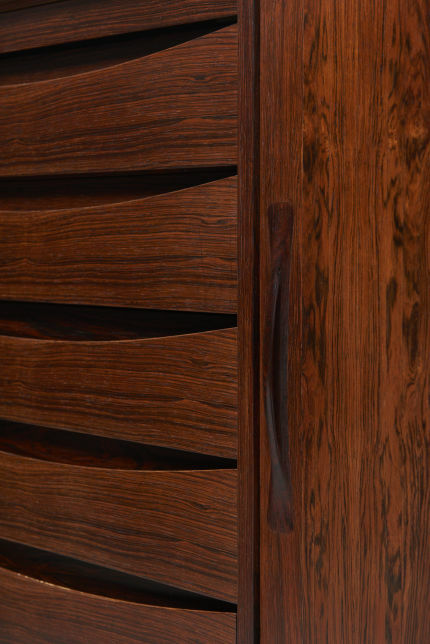 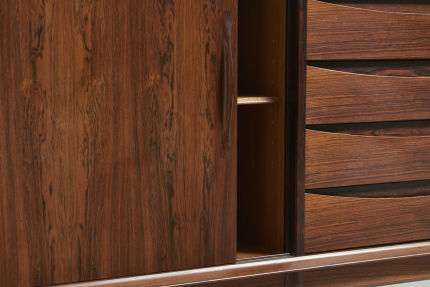 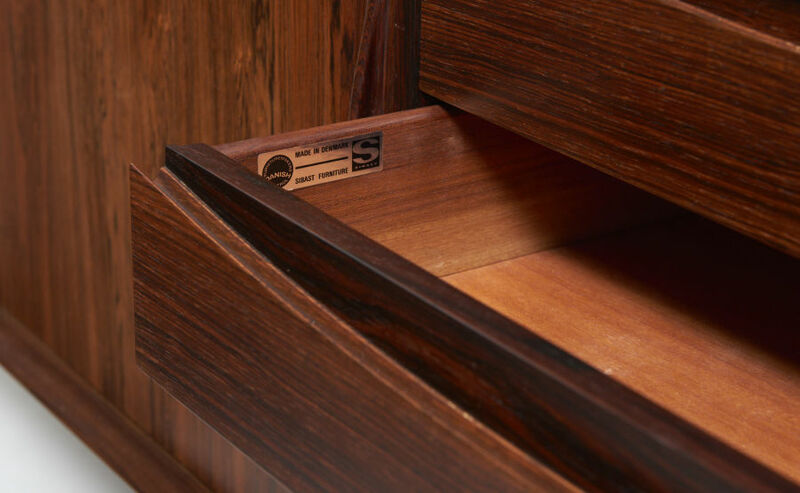 It features tambour doors, drawers and a tray in black leather. 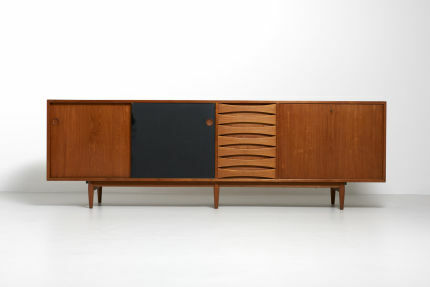 In a very good condition, with normal traces of use and one side slightly faded through sunlight. 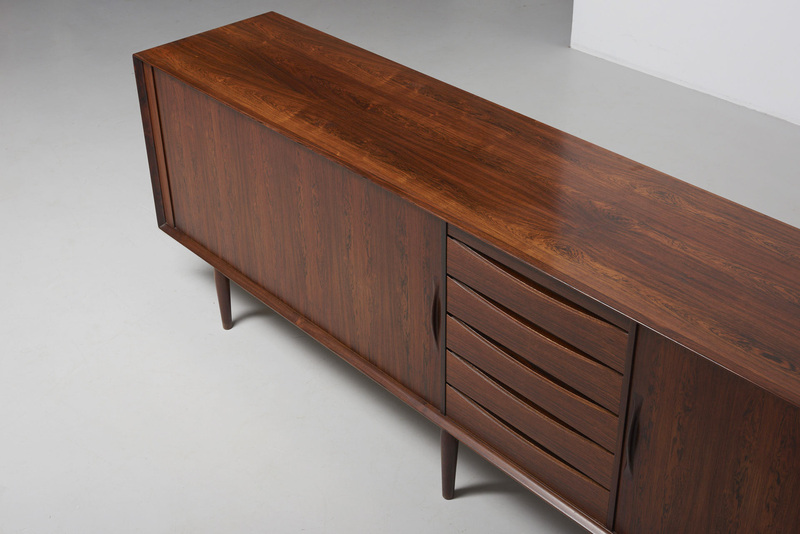 Made by Sibast Furniture in Denmark.